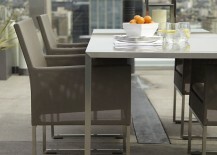 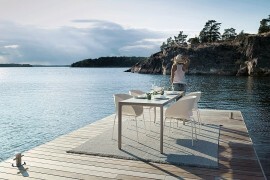 In another dining space featuring CB2 items, we see the Dockside II Dining Table, designed by Jonas Wahlstrom. 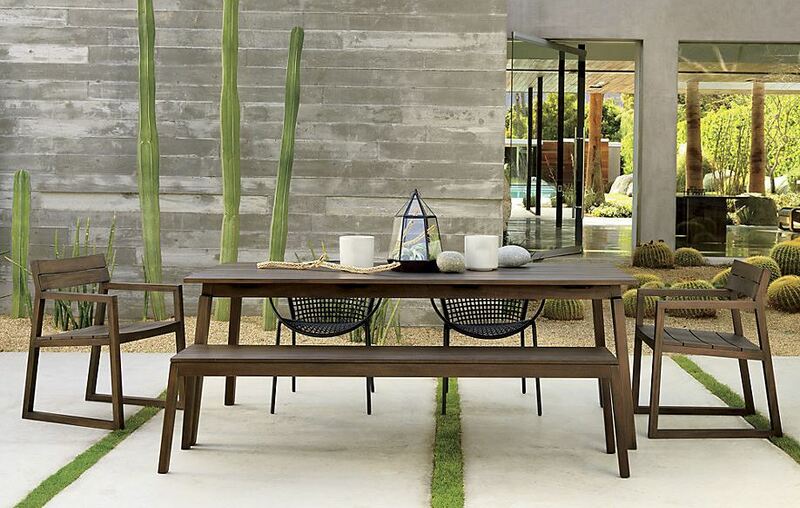 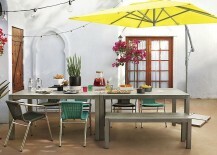 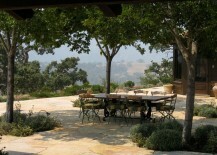 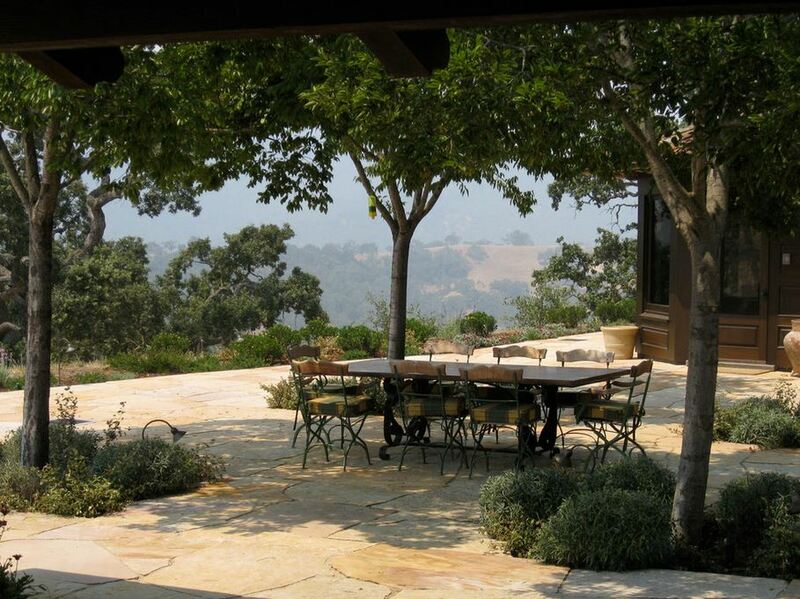 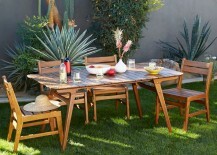 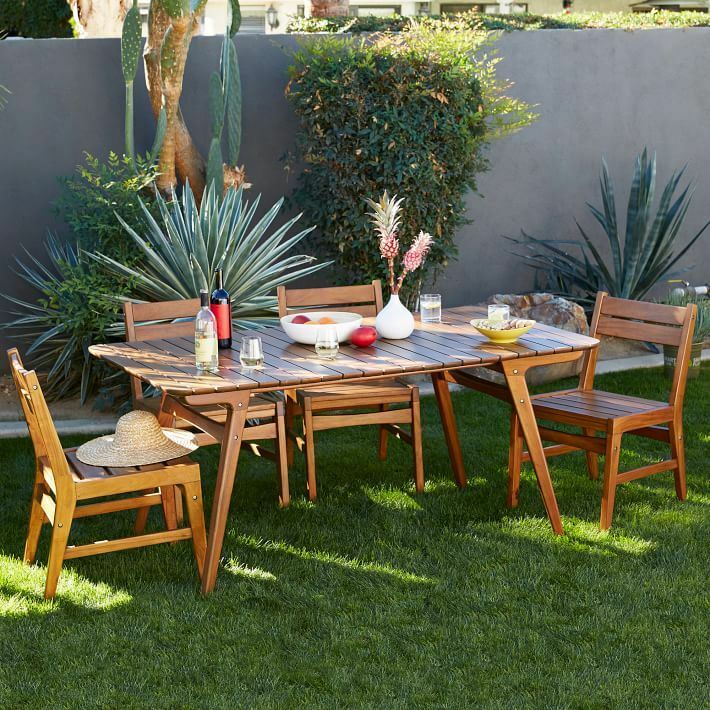 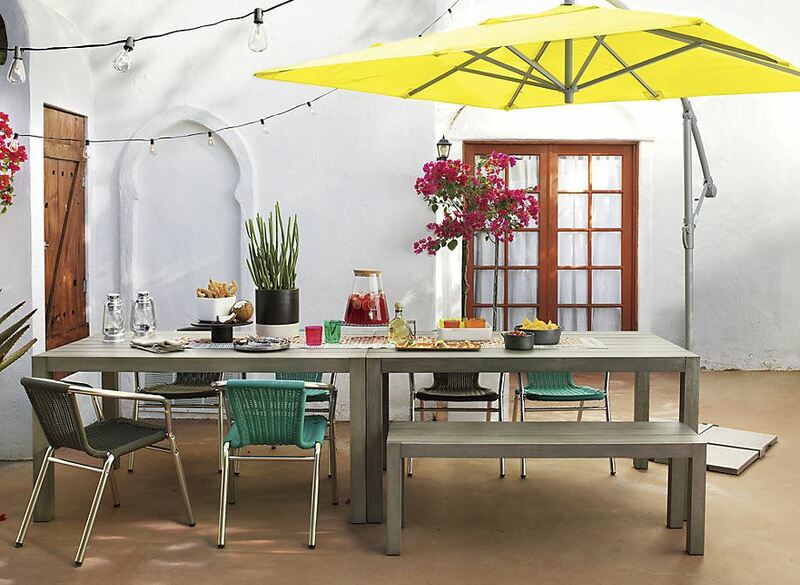 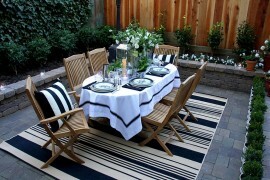 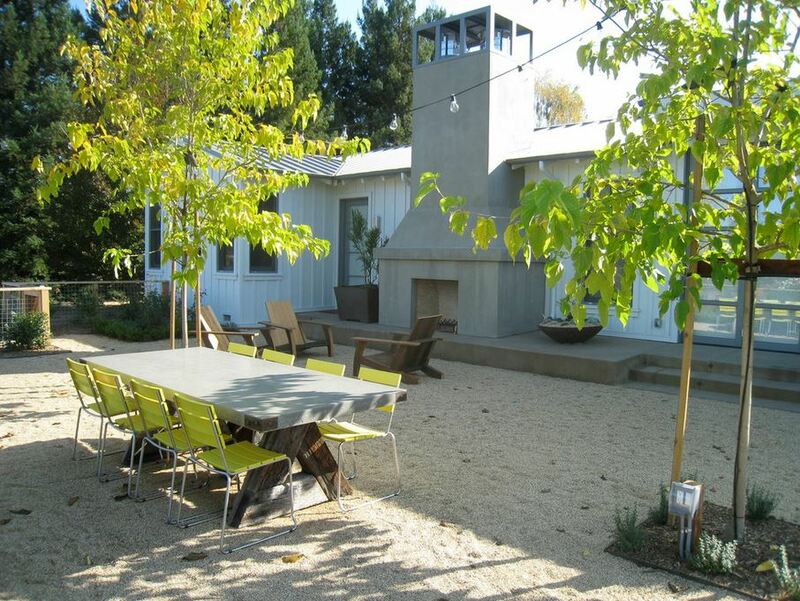 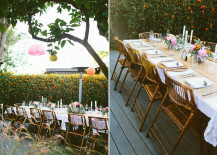 This photo proves that you can use color to your advantage when it comes to dining al fresco. 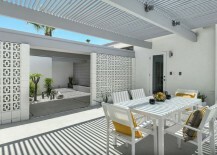 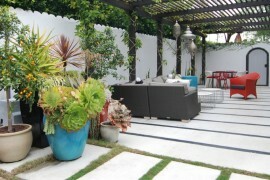 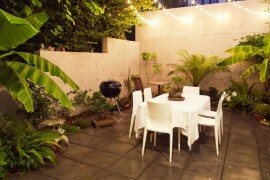 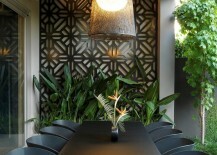 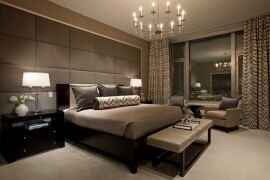 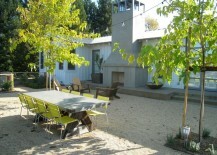 Note the colorful umbrella, vibrant chairs, eye-catching glassware and radiant plants. 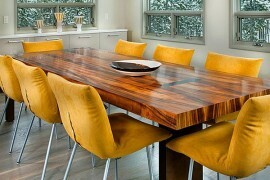 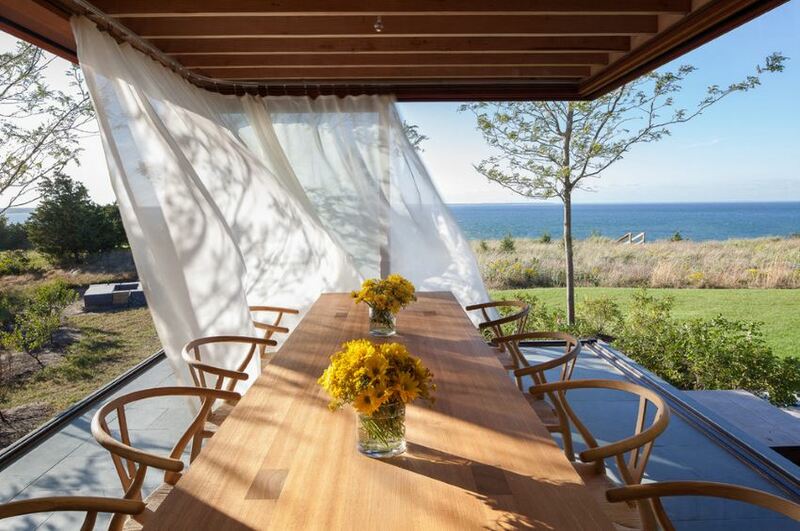 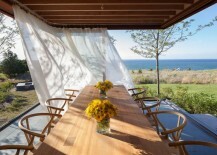 You don’t need a view of the ocean to make a dining space memorable! 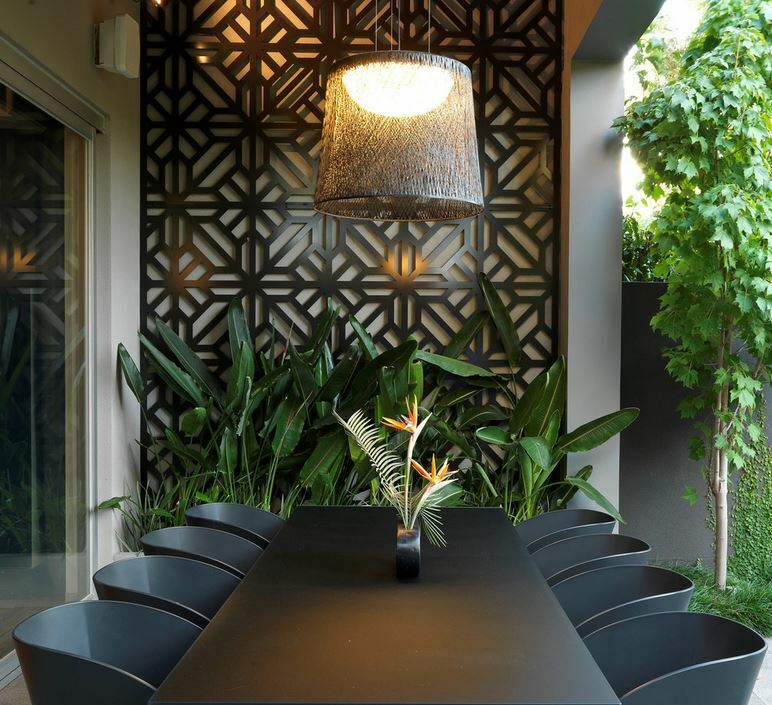 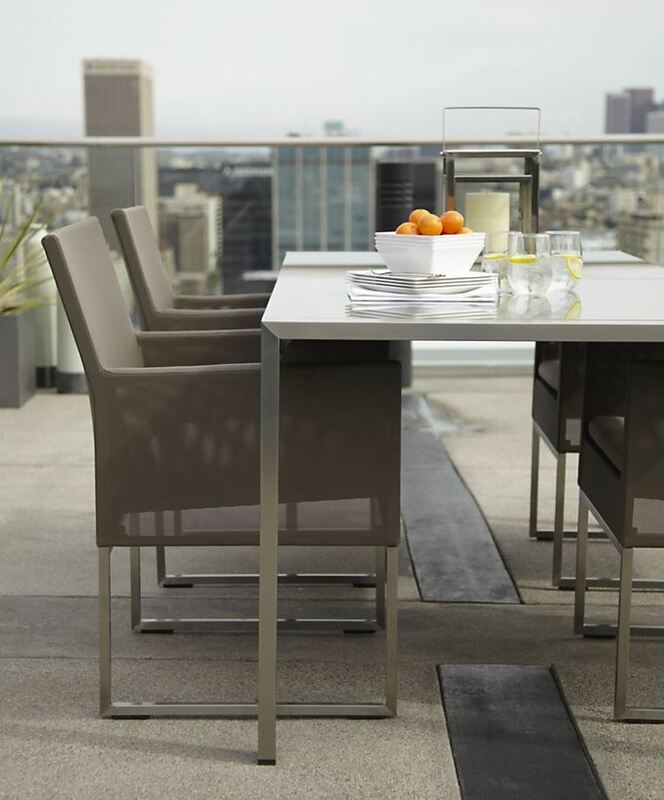 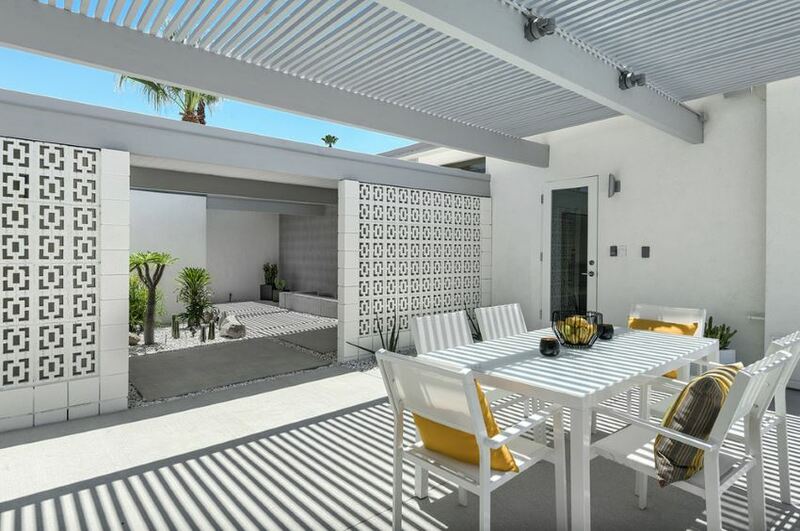 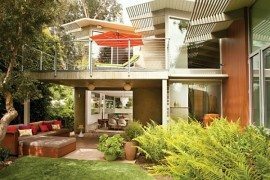 Whether your patio with view will be the setting of many parties or your small balcony simply needs a place to sit and enjoy a quick bite, we hope today’s images have inspired you with their creative landscaping, modern furnishings and interesting accents. 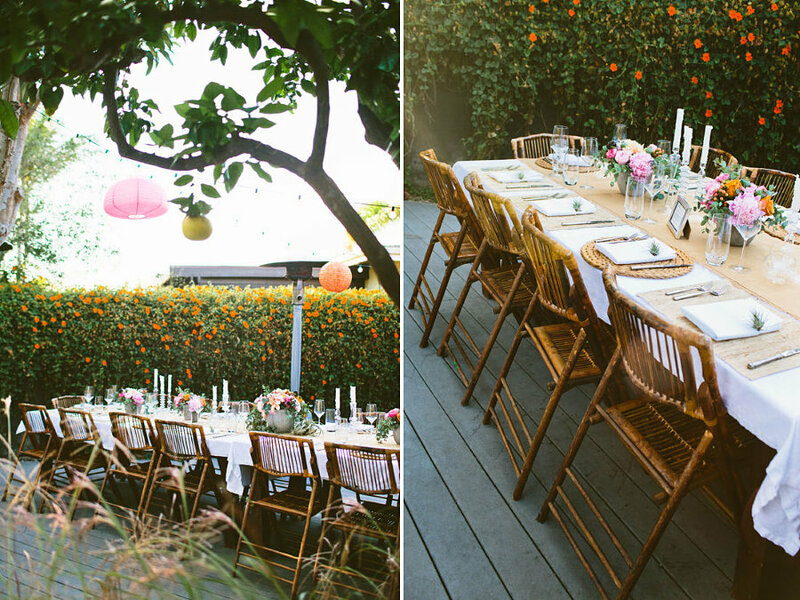 Here’s to a season of beautiful evenings and delicious food!